With a stay at K Stars Hotel in Navi Mumbai (Belapur), you'll be within a 15-minute drive of Belapur Mango Garden and Wonder Park. 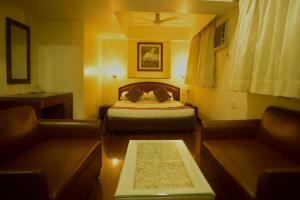 This hotel is 6.2 mi (10 km) from CIDCO Exhibition Centre and 16.1 mi (25.9 km) from Bandra Kurla Complex. Make yourself at home in one of the 187 air-conditioned rooms featuring flat-screen televisions. Complimentary wireless Internet access keeps you connected, and cable programming is available for your entertainment. Private bathrooms have complimentary toiletries and hair dryers. Conveniences include phones, as well as safes and desks. Don't miss out on recreational opportunities including an outdoor pool and a fitness center. This hotel also features complimentary wireless Internet access, concierge services, and an arcade/game room. Stop by the hotel's bar for lunch or dinner. Dining is also available at the coffee shop/café, and room service (during limited hours) is provided. A complimentary buffet breakfast is included. Featured amenities include complimentary newspapers in the lobby, dry cleaning/laundry services, and a 24-hour front desk. Planning an event in Navi Mumbai? This hotel has 3500 square feet (325 square meters) of space consisting of conference space and meeting rooms. A roundtrip airport shuttle is provided for a surcharge (available 24 hours), and free self parking is available onsite. When would you like to stay at K Stars Hotel ? Each day we'll check prices and send you an email for your selected dates at K Stars Hotel. If you don't have specific dates but would like to check prices for say next weekend or say next month we can check the price too. 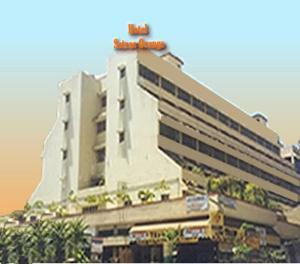 Click to write a review and share your experience of K Stars Hotel with other travellers.